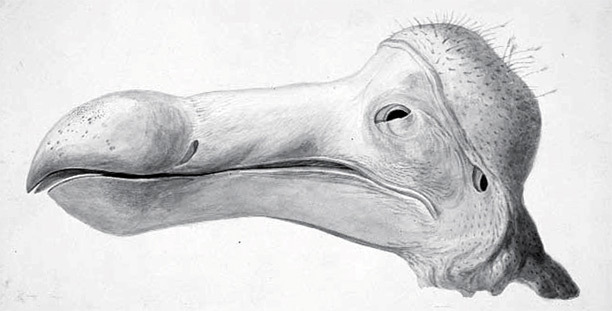 The Oxford Dodo has defined our idea of the creature. When alive, the bird was displayed in London as part of a kind of urban freak show. In death it featured in Alice in Wonderland. Charles Norton reveals what became of the last dodo. Until comparatively recently mankind’s first question on discovering any new species was, ‘what does it taste like?’ The answer to this question could be very important to the future of that species, making the difference between survival and extinction. For possibly the last time in its existence, the dodo, a member of the pigeon family, was lucky. It tasted awful. 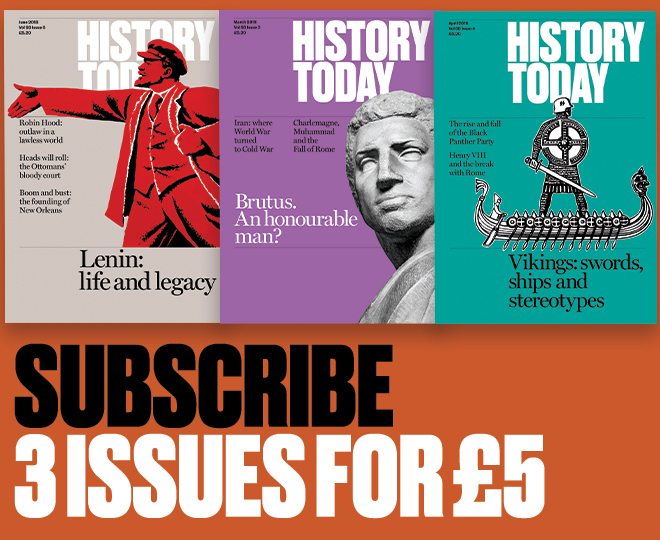 ‘Even a long boiling would scarcely make them tender,’ reported a 17th- century Dutch ship’s captain. But sadly this did not save the dodo. Today there is only one place you can see the face of a real dodo. For around 300 years the world’s only preserved dodo remains have resided at Oxford University. We can’t accurately pin down the gender of this individual, but the scant evidence suggests it was a female. This bird hatched from her mother’s single white egg on a grassy bed, deep in the forests of Mauritius. We don’t know how old she was when she was captured and spirited away to Europe. However one possibility is that she left in around 1628, courtesy of the English diplomat Emmanuel Altham. Around that time Altham sent a live dodo from Mauritius as a present to his family. Away from home for many years, he seems to have wanted the bird to become a new family pet and he wrote to his brother telling him to expect its delivery. Altham’s bird sailed to England aboard a ship called The William, under the captaincy of a Mr Perce. Unfortunately there are no records confirming the dodo’s safe arrival. However there is every chance that she survived the long journey. On board ship our dodo would have been fed on a diet of ship’s biscuits, which, if she was anything like similar species, she probably enjoyed very much. However, she wouldn’t have had much exercise and probably became fat very quickly. Most of the dodos held in captivity in Europe and Asia ended up obese and it is contemporary paintings of these large-cropped bulbous birds that most people have in mind when thinking of the dodo, a far cry from the nimble fruit-eater of wild Mauritius suggested by archaeological evidence. Our dodo was possibly next spotted in 1638 by the theologian Sir Hamon L’Estrange. He visited her in London, where she was exhibited as a public attraction in a small building not far from Lincoln’s Inn Fields. Nobody really knows the life span of a healthy Dodo. However the sheer size of the bird suggests that it could have been appreciably longer than other pigeon species – in excess of 15 years perhaps. One thing that seems likely is that the bird L’Estange saw died not long after. If she had been captured in 1628 then she almost certainly did not make it to her 25th birthday. Soon after her death the dodo was sent to a taxidermist and, at some point between 1638 and 1652, the mounted remains came into the possession of the Tradescant family. John Tradescant Senior was a royally-favoured naturalist and ardent collector of specimens and curios. Upon his death in 1638 his son supervised his father’s vast private collection in Lambeth. John Tradescant Junior died in 1662. The collection was inherited by his friend, Elias Ashmole, and on March 20th, 1683 was moved to the new Ashmolean Museum in Oxford. The country’s first public museum officially opened two months later. A heady jumble of curios, its sheer eclecticism led some snootier Oxford intellectuals to refer to it as the ‘knickknackatory’. Of the many exhibits the dodo perhaps seemed of least importance. However, as the 17th century drew to a close, the Ashmole dodo became something very special indeed. She was the only example of her kind. In around 1693, its habitat destroyed and its eggs prey to new predators, the last surviving dodo died somewhere in the increasingly sparse forests of Mauritius. In 1755 an inspection revealed that infestation had led to significant deterioration of the Oxford Dodo. Feather mites and other pests had got to her – a common problem with stuffed specimens. Most of her torso, wings and plumage were all but eaten away. With little but a desiccated husk remaining, only the head and one foot were judged to be salvageable, the rest was burned. Today, this is all that remains of her. Charles Norton is a writer and researcher for BBC audio books.